One of my goals for the channel is to create content to share with my PLN. I intend to create short video’s of successful lessons, webcast’s to introduce and highlight new web 2.0 tools, video of students demonstrating effective use of technology in the classroom to, and examples of how to turn ‘offline’ activities ‘online’ to name a few. I also plan to use the channel as place to store video’s that enhance my own professional development. In other words, store and view video’s from educational experts I respect and follow. Once you’ve created your YouTube channel you’re able to subscribe to other people’s channels. In keeping with my theme of professionalism I only follow other educators or those closely connected to education. When you’ve found the people you like to follow you can also invite people to follow you, through email. Give permission, YouTube can access your email address book and contact some or all on the list, inviting them to follow you. 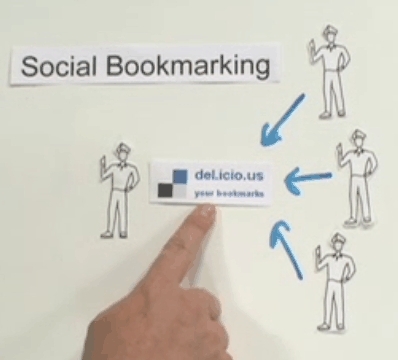 Social bookmarking is the third tool I use to build my PLN. A powerful social bookmarking tool such as Diigo can be useful in sharing, annotating, and organizing your bookmarks and the bookmarks of others in your PLN. Using the Diigo service allows users to bookmark a URL to Diigo’s servers which means those bookmarks are then accessable from any computer or smartphone with an Internet connection. During the bookmarking phase users can tag the bookmark to easily find the page for use later. Diigo allows user to search their own bookmarks by title, by URL, or by tag. User’s are also able to organize their bookmarks by creating lists. For example, a teacher may opt to create a list that mirrors the subjects taught by that teacher. Therefore when he/she needs to find bookmarks related to science he/she can easily click on the science list within the user’s Diigo page. It is also possible to take a snapshot of the webpage you are going to bookmark. This could be useful when comparing sites that change often. Not only is it possible to bookmark URL’s using Diigo, it’s also possible to bookmark pdf’s, blogs, and any other online material. Finally, if you have a Twitter account you can automatically tweet your latest bookmarks directly to your followers, during the bookmarking phase. If Diigo was purely a bookmarking service it would be solid product, but it offers its user’s so much more, making it a great product. Once you’ve developed a set of bookmarks it’s possible to share those bookmarks with friends or members of your PLN. This allows you to see what blogs your peers are reading, what websites they’re saving for later use, what paper’s they’re reading, and who is sharing bookmarks with them. This is a powerful option when collaborating or attempting to expand your knowledge based in a particular area. Before, or after for that matter, a URL is bookmarked it’s possible to highlight text and pictures. The is particular useful when researching. It is also possible to add notes to the page with multiple sticky notes. Annotations will then be saved during the bookmarking phased. These pages can also be sharing with members of your network or PLN. One of the most exciting features of Diigo is it’s ability to search the Diigo network for tag’s of your choice. For example, if I need to find resources on ‘digital-storytelling’ I would visit my Diigo homepage and type ‘digital-storytelling’ into the search box. Diigo then gives me options on my search criteria. I am able to either search my existing saved sites, search the whole Diigo network for ‘digital-storytelling’ sites, or search my friends (PLN’s) sites.